How did you manage to rip them? I've been trying for ages with no luck, could never find a source to decrypt/RE the files. Anyways I've had a few years experience in 3D. Since my absence from this site. Ah I see. Makes sense for the older games. Well if you would like to post them. I can take a look and see what I can do. Do they need any converting ? should I send you all the outfits of the characters? Well this is what I've done up quickly. Nice, man ! god job , you make face animations right ? Last edited by Freezygaming on Wed Mar 27, 2019 10:21 am, edited 1 time in total. This is pretty interesting. Too bad SSX and its community is dead. I did something totally fun with the models ssx 3 xD here is: https://youtu.be/cD9gCDjPLR0 SSX STILL ALIVE ! GUYS ! Guys ! 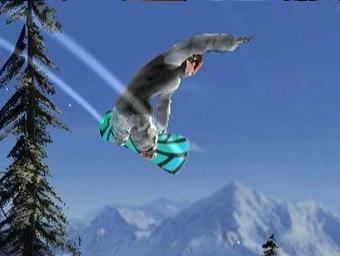 I have the models of cutscenes version of ssx3, they are better quality than in the version of race!